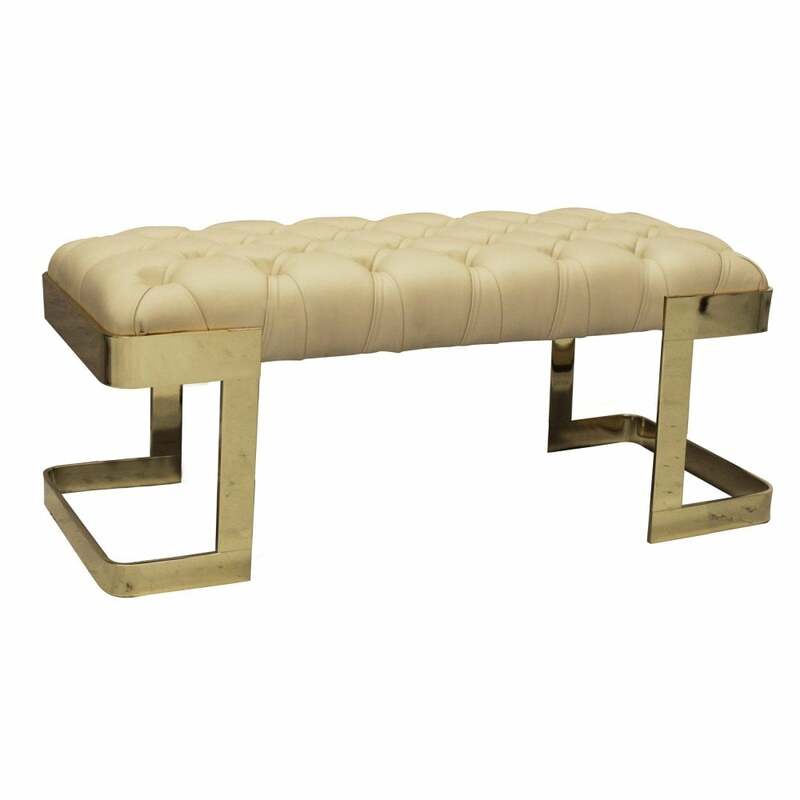 Featuring Capitonné upholstery in genuine leather, the Winfrey Bench by Ottiu will bring Hollywood glamour to any interior space. Supported by a polished brass structure, Winfrey has a distinct art deco style with architectural framing and contoured lines. This reinterpretation of 1930’s luxury will suit both contemporary and period properties. Part of the Century Collection, Winfrey works beautifully with metallic accessories and soft hues of mink, blush and grey. Position at the end of your bed and drape a faux fur throw over the bench for a luxe look. Available in a range of finish and colour options. Get in touch with our team for more information. Priced for Upholstery: Ottiu Fabric. Structure: Polished brass. Details: Capitonné.